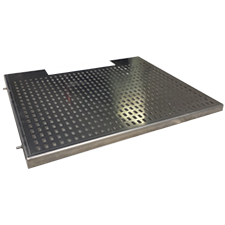 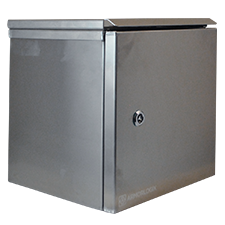 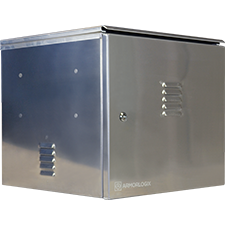 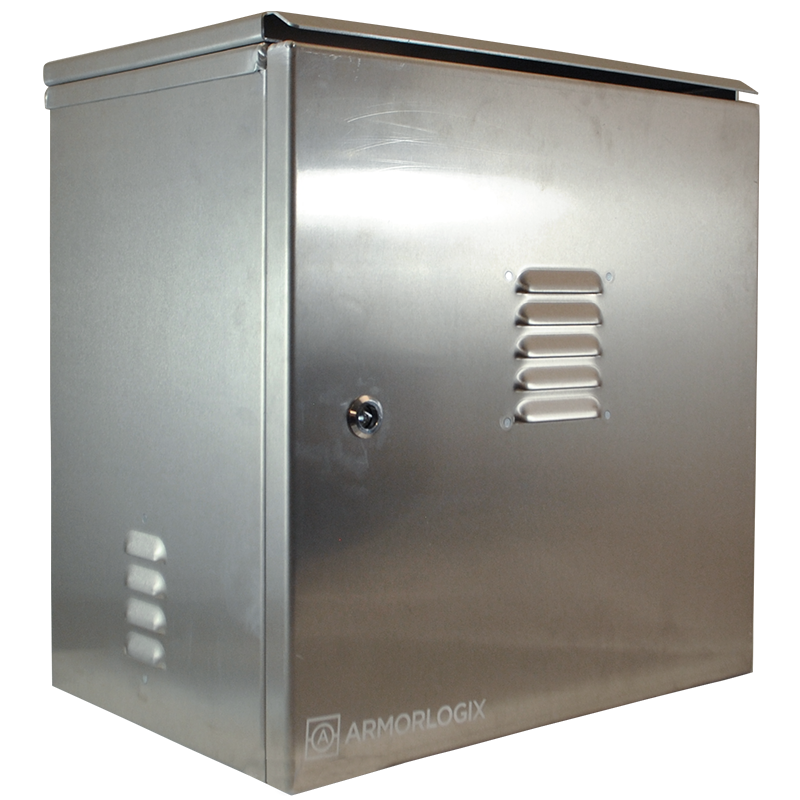 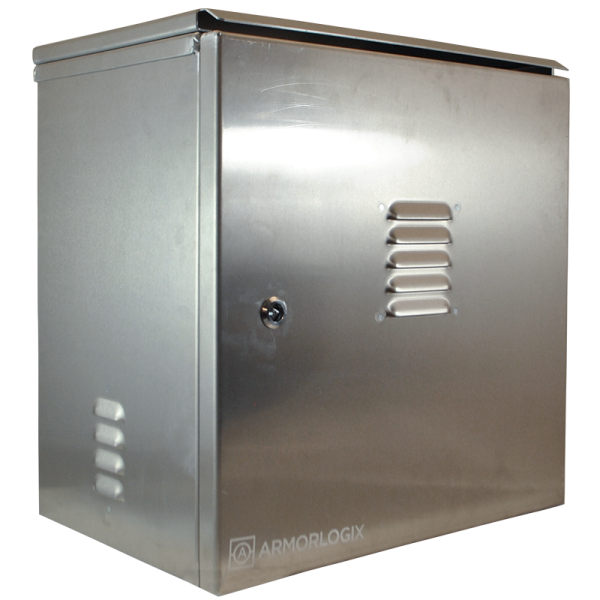 The 19x19x12″ Aluminum Outdoor Weatherproof Enclosure by ArmorLogix is rated NEMA3R and comes standard with (2) mounting brackets, security lock, sun shade and adjustable / removable equipment mounting plate. 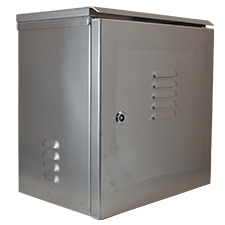 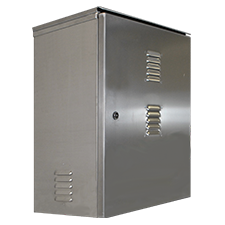 This medium sized NEMA enclosure is made with the same high quality 5052 Marine Grade Aluminum to prevent corrosion. 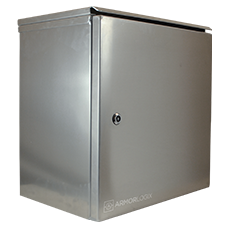 The louvers on the front and sides of the enclosure offer superior air circulation, as does the attached sun shade, while adhering to gravity fed weather resistance standards.